SEOUL, South Korea - North Korea said Thursday it will enshrine Kim Jong Il's body in the palace housing his father, the national founder, deepening its veneration of the Kim dynasty as the country transfers power to a third generation of the family. The country also said it will erect a new Kim Jong Il statue and build "towers to his immortality," while the ruling party called him "eternal leader" and gave his birthday a new title that underlines his military-first policy and links him more closely to his father, Kim Il Sung, who is still revered as the "eternal president." The North's state media have sought since Kim Jong Il's death on Dec. 17 to show his son, Kim Jong Un, as a strong, confident military leader, but outside observers are watching to see if he can impose his will over the military and government as strongly as his father did during 17 years of absolute rule. North Korea has quickly handed Kim Jong Un a slew of his father's prominent titles and repeatedly connected him with his father and grandfather in an effort to add legitimacy to the young leader. 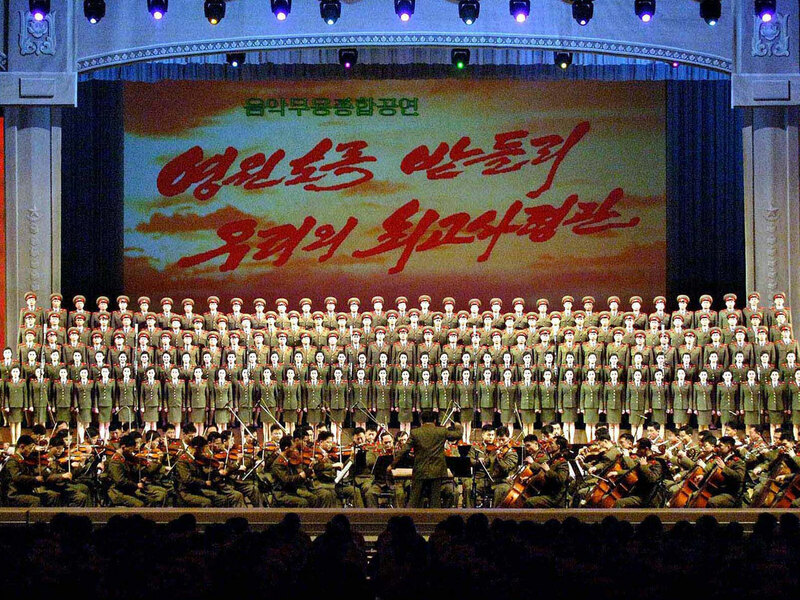 North Korea also has stepped up propaganda praising Kim Jong Il's works and vowed to uphold his policies in what is seen as an attempt to justify the hereditary power transfer. On Thursday, the North's state media called Kim Jong Il the "eternal leader"  reminiscent of his father's title  and said his body will be displayed at Pyongyang's Kumsusan Memorial Palace, where the embalmed body of Kim Il Sung has been lying since 1995, a year after he died. It was unclear whether their bodies would be in the same room. The new name for Kim Jong Il's birthday, "Day of the Shining Star," is another link to Kim Il Sung, whose birthday is called the "Day of the Sun." "Shining Star" also was the name given by North Korea to what it says was a satellite it launched into space in April 2009, but that the United States says was a long-range rocket test. The launch stoked regional tensions and earned North Korea international sanctions and condemnation. The new measures reflect North Korea's "unanimous desire ... to hold the great leader Comrade Kim Jong Il in high esteem as the eternal leader of the party and the revolution," the Political Bureau of the Workers' Party's Central Committee said, according to the official Korean Central News Agency. North Korea is boosting "the cult of personality surrounding Kim Jong Il" as it links him with Kim Il Sung, said Yang Moo-jin, a professor at the University of North Korean Studies in Seoul. On Thursday, North Korea's state television showed photos of a smiling Kim Jong Un gesturing in a manner similar to his father and wearing a similar parka as he spoke to military officers and inspected construction sites.